John C. Kenny is Of Counsel to Summer Nichols Law. 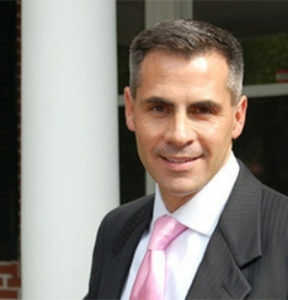 He is the owner of The Law Offices of John C. Kenny, based in Tallahassee, Florida. Mr. Kenny graduated from Florida State University with a Bachelor’s Degree in 1990 and obtained his Juris Doctorate Degree from Florida State University College of Law in 1994. Over the last two decades, he has focused his practice on complex and challenging family law cases. During his 20+ years, thousands of satisfied clients have trusted Mr. Kenny guide them through the emotional difficulty of the dissolution process, as well providing the critical support for one of the most life altering events a family can experience. Mr. Kenny has the experience to provide clients with the confidence to begin a new chapter of their lives. Mr. Kenny’s extensive litigation experience includes divorce cases, child support, alimony and paternity cases. Success in this process requires educating each client on the expectations he or she may have and the result which can be obtained under our current law. Each case is different and every client is unique. In addition, to growing and learning from each client Mr. Kenny has his own personal experience from which to draw. Mr. Kenny and his wife have two children, ages 14 and 12, a girl and a boy, who provide lessons everyday – lessons Mr. Kenny can bring to clients and the courtroom alike.